The best of the best rose quickly, though, as favorite titles appeared on our reviewers lists again and again. I cheered each time my favorites made an appearance. 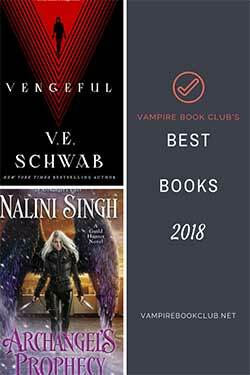 I hope you have the same feeling as you read through Vampire Book Club’s Best Books of 2014 list below. I hope you see your favorite books here, and spot others to add to your must-read list. Each title on this list comes with a VBC seal of approval. We promise its awesomeness. Silver Shadows is the darkest book in the Bloodlines series to date. It’s also the best. Richelle Mead has deftly woven painful, deep scenes with breaths of warmth, light and hope. …and Sydrian is legit and awesome and the best ‘ship ever. We’re still swooning over Adrian Ivashkov in this book. Dark Skye made VBC’s Candace—firmly Team Lycan—forget that MacReive ended on a cliffhanger. That good. Lanthe and Thronos and their rediscovery of a long-lost love was everything we wanted it to be. It was enough to make us forget favorites, forge new ones and overall melt. This is the second finale book in the Best of 2014 list. It was a year for good endings, apparently! The Forever Song made us cry. It made is rejoice. It did transitioned from overwhelming emotions seamlessly. 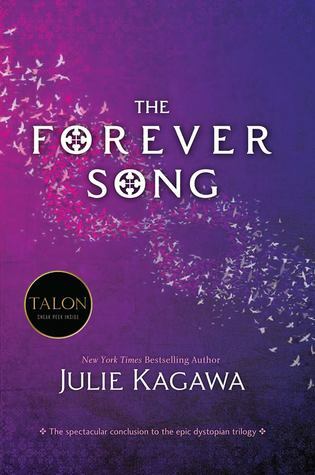 Julie Kagawa played with the tension levels through the book, and it worked from the end to end. The final pages of the book were so strong and satisfying, we could handle letting go. We’d be best friends with Charley. Let’s just get that out there. She and the standout secondary characters made Sixth Grave on the Edge and top read for us. Cookie never fails to make us laugh, and Reyes continues to get us all gooey. We just love the dynamic he has with Charley. 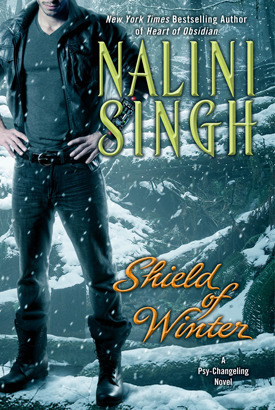 We’re all Nalini Singh fangirls here at VBC. (There was debate over if it would Guild Hunter or Psy-Changling series on this list.) Shield of Winter was stellar at every turn. The gradual build of Ivy and Vasic’s relationship was perfect for the characters, and sometimes we just love the slow burn. This is one for the keeper shelf. It’s not all established series on this list. 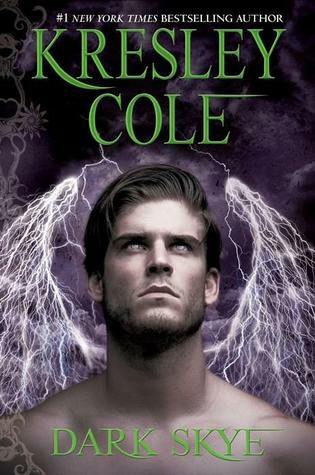 We loved this new vampire romance novel from Marissa Clarke. It was hot and feisty and generally all the things we want in a vampire novel. Plus, it had one of the sexiest vampire transformation scenes we’ve ever read. Enough said? The Throne of Glass series just gets better and better. 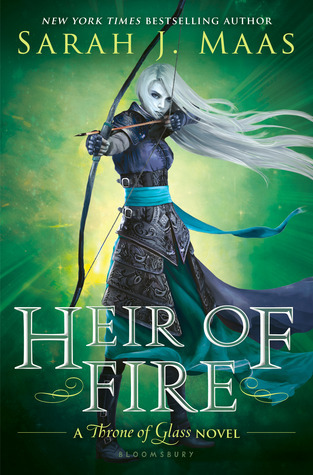 Heir of Fire was the best novel we’ve read from Sarah J. Maas to date. 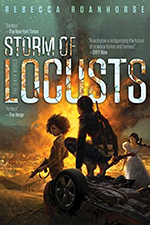 You don’t need to be a huge fantasy fan to fall for this tale, but three books in a few of our reviewers have found themselves more and more at home in the genre. There’s a strong homage to Mary Shelley’s Frankenstein within House Immortal, and we loved it. Moreover, the novel is a great start to a series with strong character development. We backed the good guys and found the bad ones truly vile. Better yet: We didn’t always know who to trust. House Immortal kept us guessing and engaged. Both very good things. 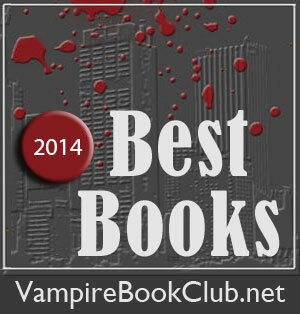 There were hundreds of excellent books nominated for the Reader’s Choice Best of 2014. We ended up with two books tied for the top spot. It’s the giving season, so we’re naming them both Reader’s Choice of 2014. This is a great list! I’ve read 7 of the 10 on the list and the other three are part of series that are on my TBR list. I’m slacking on catching up with Charley (I haven’t yet read Seventh Grave!) but it’s nice that she made both the actual list with Sixth Grave and the reader’s choice. And as always, I love Kate Daniels series so excited it was a tie! 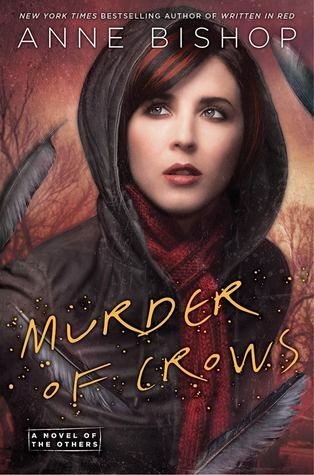 Murder of Crows was sooooo good. I need to get caught up on the Bloodlines series, too. I do love me some Adrian. …Man, now I want to re-read. 1. I ended up voting for Silver Shadows since I thought it was a great and entertaining book. I am also looking forward to The Ruby Circle I am excited and nervous about what will happen to a certain young female character. 2nd place I had Reign of Fire which was an amazing book that explored how a characters can change and adapt to become stronger. The last 10 hours of the book on the audio recording were basically intense and fast paced. 3rd place, I had which was tough to list third since I really loved Magic Breaks. Kate Daniels, Curran, Ghastek and Robert Alpha of Clan rat had some great interaction with Kate. MURDER OF CROWS made it to my list as well. I love that series. It’s so different from others I’ve been reading. Haven’t read Heir of Fire yet. Finding it hard to get over the treatment of Dorian from the previous book. I totally agree with Silver Shadows and The Forever Song. Dark Skye and 6th Grave is on my to read list. Looking forward to see what 2015 will bring us.